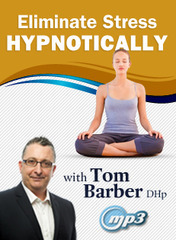 You are going into hypnosis all the time, sometimes up to 8 times per hour, so youve already expereinced the state of hypnosis thousands of times. You just didn’t know this was happening. It happens for example when driving. You reach your destination and then wonder how you got there. Watching TV and drift off for a second or two. Reading a book and drifting off the same way. These are just some of the common expereinces of drifting in and out of hypnosis. It is where the mind is switching off to process the billions of pieces of information that are coming into your brain every second through all of your senses. So, what you see, hear, feel, sense, think, taste, smell is all being processed in this state of mind. Your two brain hemispheres alternate in importance. First one half, say the left hemisphere, that manages our verbal, logical and sympathetic processes dominates, then the right hemisphere takes over as our creative, intuitive and parasympathetic aspect becomes dominant. This condition has been called the “common everyday trance” and is a sort of rest phase in the ultradian rhythm. In hypnotic trance state two very important things happen. Your brain frequency slows down to same CPS (cycles per second) as was running at when you were between ages 0 – 6 years. At that age you were in the prime state for learning VERY quickly. This is because your brain is designed that way. The conscious critical factor (the filter) in the mind is dampened down. So, you can learn new behaviours very quickly without questioning them as you would do ordinarily. Suggestions can then be made for changing your current behaviour which are much more likely to be accepted and acted upon. So how do you become hypnotised? By 1) imagining all the muscles in your body relaxing, and then 2) also imagining being somewhere calm and relaxing. Where could that be? As we go through this imaginary journey your mind will drift off and think about other things, and then you’ll notice my voice again and maybe you haven’t heard everything, but it doesn’t matter. Its all going in anyway. And then you are … before you know it … hypnotised, and ready for the reprogramming to begin. Typically during a standard hypnotherapy or clinical hypnosis session, a client will experience a low Alpha brainwave state then increase down into the Theta range. This is a deeply relaxed, dreaming state generally associated with right-brain thinking activity – deeper subconscious to superconscious. Here you can gain insights, bursts of creative ideas – Theta is a key state for “reality creation” through vivid imagery. If however we need to accomplish more in-depth work with the state of hypnosis then the therapist may require directing the Theta range deeper down into Delta. This is a dreamless state generally associated with no thinking – unconscious or superconscious. Here we have access to non-physical states of existence – a key state for “regeneration” and “rejuvenation”. 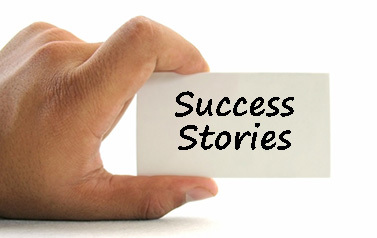 What changes happen when you go into hypnosis? The hypnotic gasp or sigh. Pinking to the whites of the eyes. Lacrimation (watering of the eyes). Slight blanching of skin tones. There are a number of ways to induce hypnosis and when we sit and formulate our plan together we will get a good sense of how we should be working.